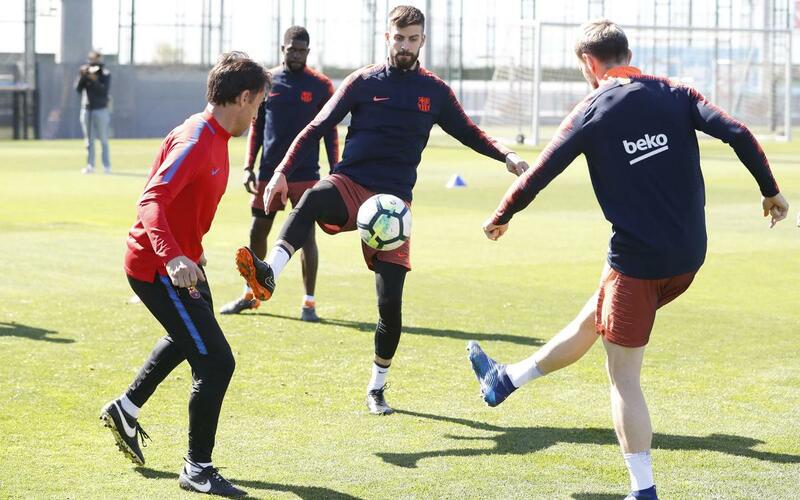 Just hours on from their Champions League quarter final first leg win against AS Roma, the FC Barcelona squad began training for their LaLiga contest with Leganés. The Matchday 31 game offers the opportunity for Ernesto Valverde's men to equal the record for most consecutive games unbeaten, currently held by Real Sociedad. In the session, held on the Tito Vilanova pitch, the first team were joined by Riqui Puig, Aleñá and Varo from Barça B. The starters from Wednesday undertook recovery work. There will be another workout this Friday, ahead of the Saturday game at the Camp Nou.